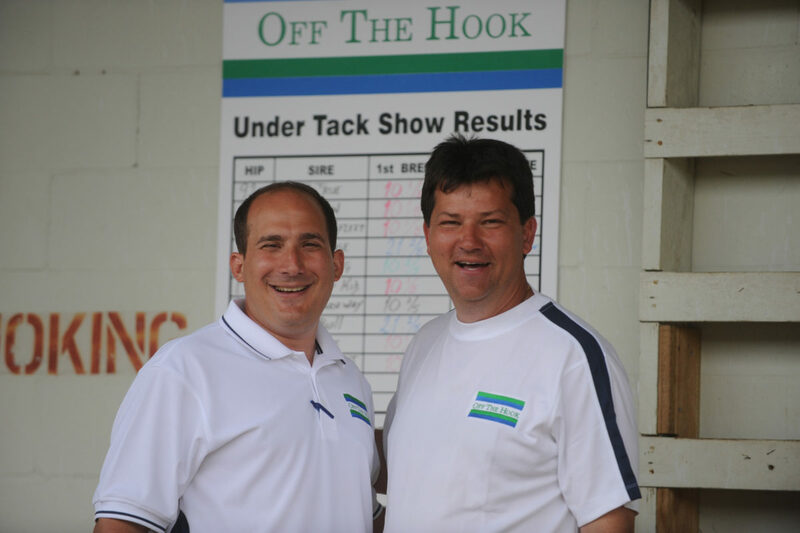 Joe Appelbaum (left in photo, with trainer Carlos Morales), a 48-year-old horse owner, breeder and seller based in New York City, cashed a $13,000 cold exacta (Arrogate-California Chrome) on the Breeders’ Cup Classic to win this year’s Breeders’ Cup Betting Challenge (BCBC). The wager returned $64,000 and earned Appelbaum a first-place prize of $300,000 in the sport’s most popular “live money” handicapping contest. On top of his cash windfall, Appelbaum won a second seat to the world’s richest and most prestigious handicapping contest, the $2.8 million (estimated) Daily Racing Form/NTRA National Handicapping Championship (NHC) presented by Racetrack Television Network and Treasure Island Las Vegas, set for Jan. 27-29, 2017, at Treasure Island. As the BCBC champion, Appelbaum is now eligible for the largest prize in handicapping contest history – a $3 million NHC Tour Bonus if he can win NHC 18. A Yale graduate, Appelbaum spent seven years as a college football coach before finding enough success with Thoroughbreds to make horses his full-time career. This will be his third NHC appearance. What did it feel like to win one of the biggest prizes out there for a horseplayer? Why did you like Arrogate over California Chrome? What was your bankroll when you placed the $13,000 exacta? When you play in a contest like the BCBC do you think about protecting your bankroll to take something home with you or do you just play to win and not worry about it? Now you get to play for a $3 million bonus at the NHC. Will that change your mindset at all? How did you find the handicapping contest world? What have been your biggest thrills in racing? “As a handicapper, that group of friends hit a Pick Six at Saratoga on Travers Day 2001, when Dr. Kashnikow split horses in the Fourstardave to get up. That paid $109,000 between five guys and by the end of the day we had about 50 people cheering for us in the backyard by the Big Red Spring. How did you transition from football coach to being in the racing world? There is no way building a full-fledged racing and breeding operation from nothing could have been as easy as you just described it. “No, it wasn’t. I’ve been really fortunate. We all know how difficult this game can be, whether you’re an owner, a bettor, a trainer. It’s a hard game. We had a lot of beginners’ luck and were fortunate with some early pinhooking success that I was able to stake a company with. But around 2008, 2009, 2010, we had a lot of difficulties. Of course, that was throughout the industry and some areas still haven’t fully recovered. I’m just trying to stick with it, work a little harder, work a little smarter, and try to find some solutions. I’ve had some success but it’s been work every day to get there. What’s a better feeling – winning a BCBC or winning a Grade 1?